Support the Equity and Diversity in Medical Education Scholarship to create new opportunities and transform students’ lives. 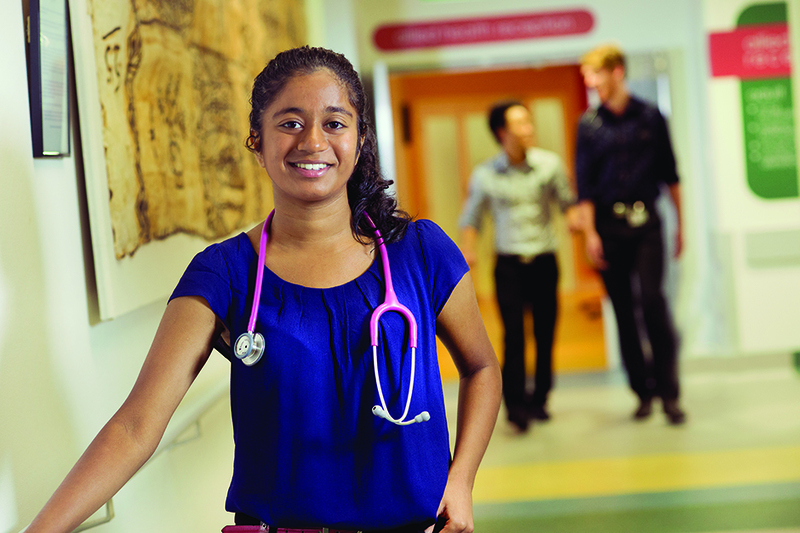 To ensure the medical workforce accurately reflects the patients and community in its care, the University of Newcastle (UON) is committed to recruiting future doctors from diverse backgrounds. Demi, first year medical student at UON was one of the deserving students who recently received an Indigenous equity scholarship. "I have always valued the importance of health and education. Growing up in a small Aboriginal/Torres Strait Islander community, I witnessed the health and social inequities experienced by our Indigenous people, even experiencing the effects of such in my own family environment. Improving the health and well-being of others is my motivation to succeed," she said. With the assistance of this scholarship Demi will be able to focus on her studies, with her overarching goal "to provide quality care to all people". Whether students come from low-SES or Indigenous backgrounds, are first in family to attend university, come from rural and remote communities, or a face a combination of factors, the financial pressures of gaining a medical education can be challenging. Medical students are required to meet accommodation and living expenses, in addition to the cost of study materials, textbooks and immunisations. These considerable costs of study combined with significantly reduced income-earning capacity form a major barrier that prevents capable students from pursuing a medical education. Celebrating the University of Newcastle's achievements in Medicine over the last 40 years and looking ahead to the future, we have established the Equity and Diversity in Medical Education Scholarship Fund to raise funds that will reduce the financial burdens for ambitious, talented students who will become the next generation of a vibrant and diverse medical workforce.